Recognition has come quickly for overhead and underground power equipment supplier OHUG since it commenced trading in 2007. 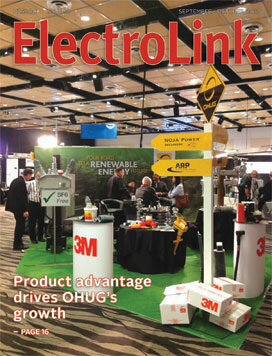 Now recognised as a significant supplier to the power industry, OHUG Power Equipment Ltd was placed nineteenth on the index of New Zealand’s 50 fastest growing companies in 2010. The company continues to grow its business as the market becomes more aware of the different supply options available to them and more equipment manufacturers invite the company to distribute their products in New Zealand. People carrying out prescribed electrical work on installations will soon face a far more stringent safety verification and certification regime. After 20 years of self-certification, the safety verification system has been reviewed and found to be insufficient in practice to manage the risks it is designed to prevent. In making this decision the effectiveness of safety training has come into question and the degree of competence in key areas such as testing and the strength of commitment to safety verification or lack of it by installers have prompted electricity regulators to impose additional checks and certification as a safeguard for what is seen to be poor safety practice. If you are carrying out prescribed electrical work, a periodic assessment, or issuing a warrant of electrical fitness and you come across something that looks dangerous, the Electricity Regulations require you to advise the ‘secretary’ where the danger exists. If you fail to find the secretary and warn him, you are liable for a fine, but the law keeps the secretary well hidden so adding his number to your speed-dial could be difficult. Two hundred years ago the invention of powerful production machines to replace human labour brought about the industrial revolution and just two decades ago an even greater revolution transformed industrial plant – the replacement of human control of these machines with computer-driven automation. 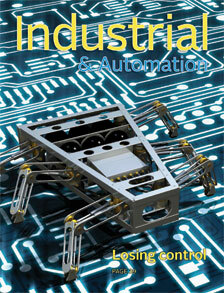 But what happens if that control is wrested by stealth from the people who designed the system and run the plant? In the wrong hands the very means of achieving manufacturing success could become the instrument of its destruction. When LEDs first started to make an appearance in mainstream lighting applications late last century they were largely regarded as a sideshow to an array of ready-available highly efficient light sources on the market. But during the seventeen or so years they have been around, LEDs have outstripped the development pace of all other light sources – and this pace is set to continue. Already LED has surpassed many performance measures of traditional lamps, but the rate of improvement is so fast, a lot of superseded LED products are flooding onto the market from a variety of new suppliers with little understanding of how the lighting industry measures and rates the real performance of luminaires and lighting quality. The lighting market has changed dramatically in the last few years with new types of lighting coming on stream offering increasingly higher levels of performance. Suppliers as well as specifiers and contractors frequently have to reassess which lighting options and light sources best suit their customers’ needs. 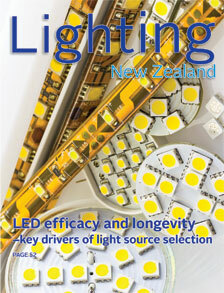 The lighting industry already knows that today’s leading lighting technology could well be superseded tomorrow. Indeed, the future of high density discharge lighting (HID) is in doubt, but it is still a force to be reckoned with in key applications.